Josephine is decidedly old and as she cannot now have any children she is very melancholy about it and tiresome. She fears divorce or even worse...Just imagine, the woman cries every time she has indigestion, because she says she believes she has been poisoned by those who want me to marry someone else. It is detestable. When Josephine's grandson Napoleon, who had been declared the heir, died, Napoleon decided to divorce Josephine and marry a princess who could both bring him an heir and consolidate some of his gains. At the divorce ceremony in 1809 each read a statement of devotion to the other. Far from ever finding cause for complaint, I can to the contrary only congratulate myself on the devotion and tenderness of my beloved wife. She has adorned thirteen years of my life; the memory will always remain engraved on my heart. With the permission of our august and dear husband, I must declare that, having no hope of bearing children who would fulfill the needs of his policies and the interests of France, I am pleased to offer him the greatest proof of attachment and devotion ever offered on this earth. After squashing the Habsburgs in the Austrian Wars of Liberation in 1809, he accepted Habsburg offers of reconciliation and married the Habsburg Archduchess Marie Luisa. 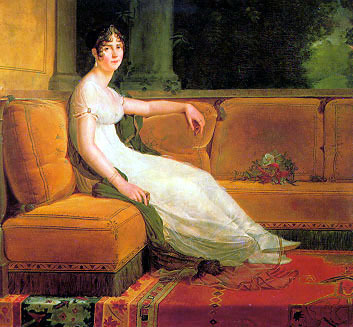 Though never a love match, Marie Luisa bore Napoleon a son. The succession was secured and his claim on central Europe was stronger.